This Rustic Wrought Iron Oil Lantern with Opal Glass Diffuser is traditionally designed for that authentic look. 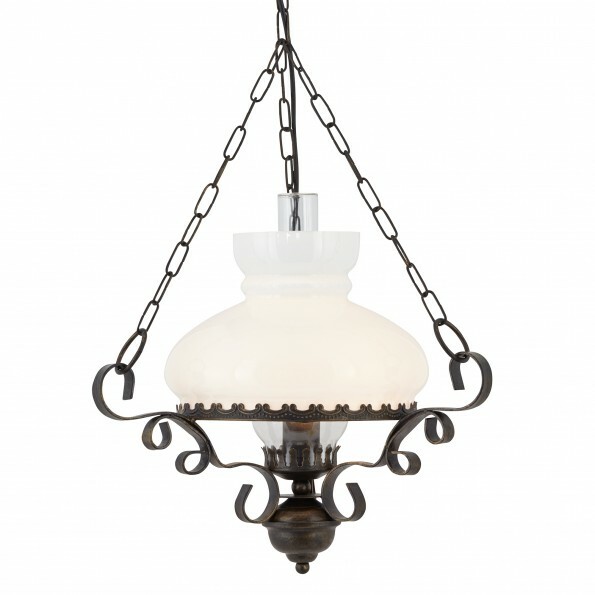 The ornate wrought iron effect fitting hangs from three metal chains, with an elegant opal glass shade at its centre. 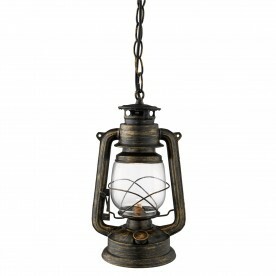 The lamp looks just like a real oil lantern but uses modern electrical lighting to brighten any room.